How much can you save on a short sale in Groveland, FL? The short sale process in Groveland, FL, for a buyer can be very profitable if the situation includes a motivated seller and a cooperative lender. Find the best short sale homes and bank-approved listings available in Groveland, FL, at Foreclosure.com today for as much as 75% off market value. 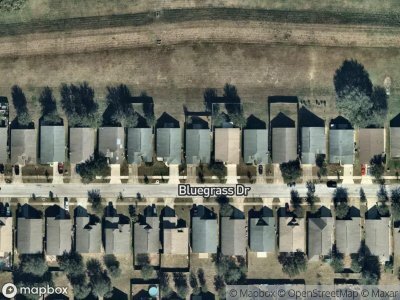 There are currently 1 short sale homes in Groveland, FL, available for potential sale right now. Get the most current list of short sale listings in Groveland, FL — and the information and tools to buy them fast — at Foreclosure.com. Groveland is a city in Lake County, Florida, United States. The population was 8,729 at the 2010 census. Between 2000 and 2010, Groveland's population increased by 189%, making it the fastest growing place in Florida. However, its land area increased more than fivefold due to annexation. It is located at the intersection of State Road 19 and State Road 33/50. Groveland is part of the Orlando–Kissimmee–Sanford Metropolitan Statistical Area. Groveland is located at 28°33′28″N 81°51′7″W (28.557853, -81.851918). According to the United States Census Bureau, the city has a total area of 3.0 square miles (7.8 km2), of which 2.6 square miles (6.7 km2) is land and 0.4 square miles (1.0 km2) (12.91%) is water. As of the census of 2000, there were 7,901 people, 845 households, and 626 families residing in the city. The population density was 897.1 inhabitants per square mile (346.5/km²). There were 921 housing units at an average density of 350.1 per square mile (135.2/km²). There are currently 1 red-hot tax lien listings in Groveland, FL.